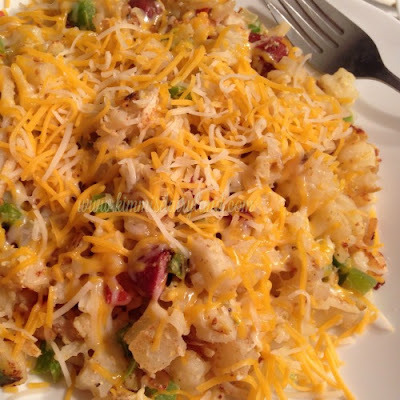 This Cascade Scramble with eggs, potatoes, little smokies, bell peppers and onions from Kimmi's Dairyland is perfect for any morning of the week. 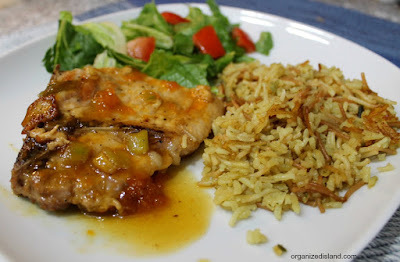 The fruity glaze takes these pork chops to the next level. Start your week off right with these Saucy Pork Chops with Apricot Glaze from Organized Island. Satisfy the salad fanatic in your household with this summery Berry Chicken Salad from Kimmi's Dairyland. 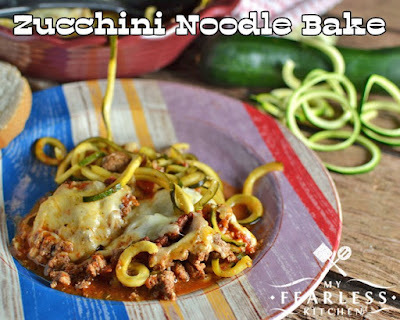 Make this Zucchini Noodle Bake from My Fearless Kitchen tonight and have leftovers for lunches later in the week. Thursdays should be easy and dinner should be delicious. 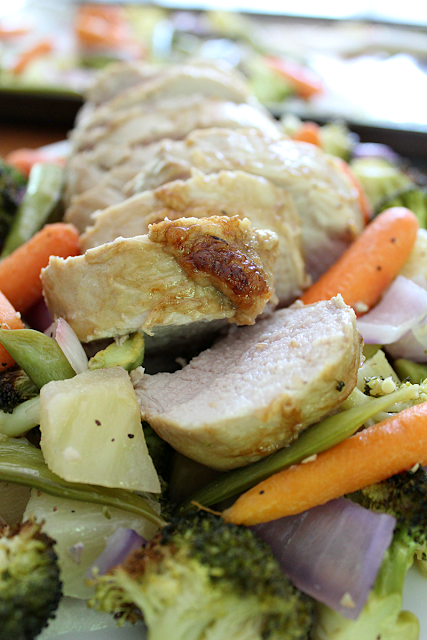 The family will love this Teriyaki Pork and Garlic Roasted Vegetables Sheet Pan Dinner from The Shirley Journey and you'll love how simple it is to make! 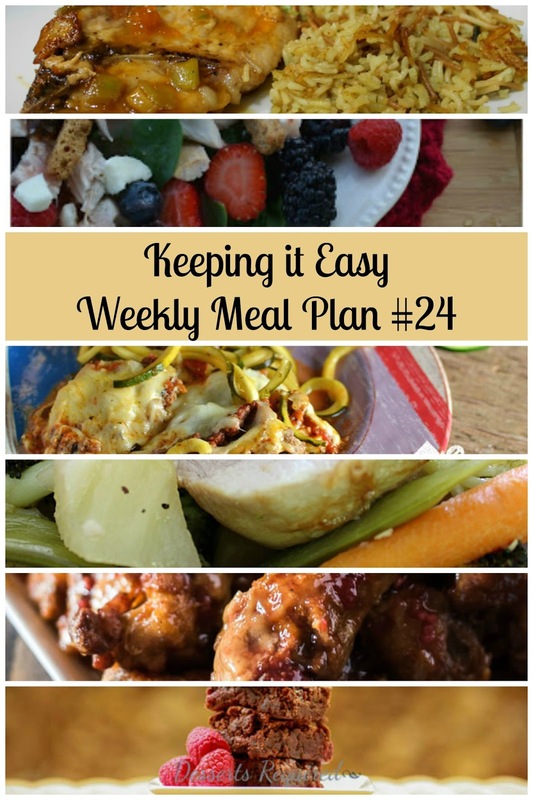 Cap the week off with a new wing recipe! 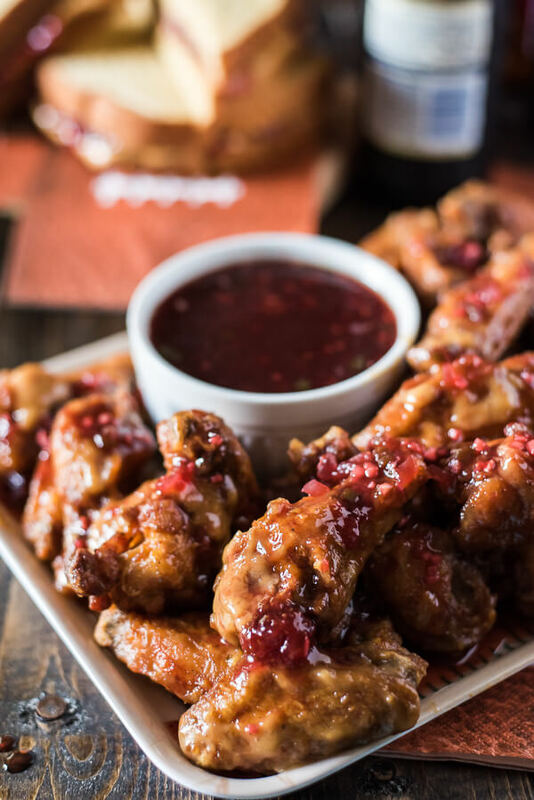 These Spicy PB&J Wings from The Crumby Cupcake will be a new family favorite. 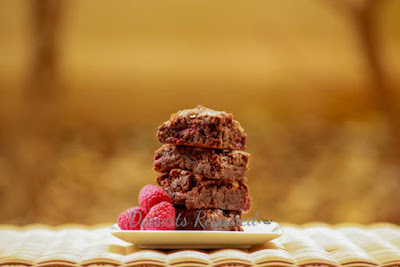 The week would not be complete without chocolate! Make these Raspberry Marshmallow Brownies from Desserts Required any day this week for a delicious treat. Enjoy your weekend with leftovers or a fun night out - we'll see you next week with another tasty round-up of meals!